Jerry Corbitt, a founding member of the Youngbloods and record producer, died on Saturday at his home in Smiley, Texas of an undisclosed cause. I just got word that a dear friend of mine has passed away in Texas. Jerry Corbitt,old friend ,may God rest your soul. Corbitt was performing as a folksinger in the Cambridge, MA area when he met and started playing with Jesse Colin Young. Young already had a burgeoning career with two albums to his name but, in 1965, the two started to tour in Canada under the name The Youngbloods. The two eventually added Corbitt's friend, bluegrass musician Lowell "Banana" Levinger, and drummer Joe Bauer to flesh out their act into a full band. The Youngbloods would become the house band at Cafe Au Go Go and signed with RCA Records where they released their self-titled first album in early 1967. A single from the set, the Corbitt written Grizzly Bear, went to number 52 and the followup, the Chet Powers song Get Together, stalled at 62. The band followed with Earth Music later that year and 1969's Elephant Mountain, none of which broke into the mainstream. Their big success came when New York DJ Dan Ingram used the song Get Together behind a public service announcement he recorded for the National Conference of Christians and Jews. The renewed interest in the track propelled it back up the charts to a peak of number 5. Corbitt left the Youngbloods in 1969 before the recording of Elephant Mountain to work on a solo career. 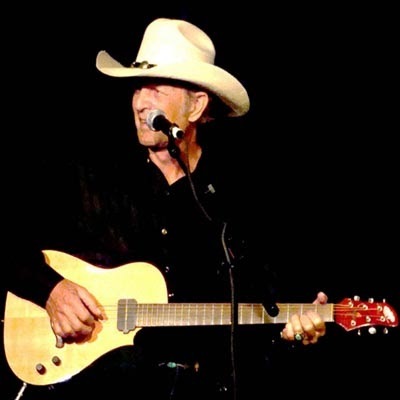 His first success came in 1971 touring with Charlie Daniels in the duo Corbitt and Daniels. While he did record a couple of solo albums, his main work from the 70's on was in production, starting with Don McLean's Castles in the Air and going on to work with such artists as Pete Seeger, Buffy St. Marie, Janis Ian, Charlie McCoy, Ramblin' Jack Elliot, Joy of Cooking, Sonny Terry and Brownie McGee, Felix Pappalardi and many others. He also worked on numerous movies, TV shows and commercials. Come on people now lets get together, gotta love one another! Rest in peace, old friend. It was a privilege to play and create music with you. We had some great times at the Rock Inn in Lake Hughes CA. The recordings were great and I will always remember them. You were a true, professional,creative artist. Jerry, my friend, you will be missed. We worked together in the 80's as construction workers, not musicians. I have missed those back porch guitar picken days and fun times in Oakhill Fl. I was honored to have been your friend through the good and the bad times. Jerry and I started our singing careers in the same dump bar in Hyannis, Massachusetts. I was 17 so my sojour there did't last long. (Neither did my career as a singer). Jerry was so nervous he forgot the second verse to his song. Despite that, he was good then and just kept on getting better. I feel honored to have shared that experience with him. Fly on, man.